We are in the business of caring, and we hold the seniors we serve as role models. Among all age groups seniors devote the most time to volunteering and respond generously to charitable giving. Our founder has been recognized for her community service since her college days, and she founded Casa Companion Homecare Solutions on the firm belief that helping people in their homes was helping the community at large. Helping seniors stay engaged in their social and service circles is just one of the ways Casa Home Care Aides can help. Winston Churchill said many great things, but the one that inspires us the most is, “We make a living by what we get. We make a life by what we give. Casa Companion Homecare Solutions supports family caregivers during times of transition, when a parent or an elderly loved one needs help as a result of an illness, an accident or just the inevitable process of aging. We offer family caregivers a FREE program of online training videos that will help them better provide for those in need. These include videos on a wide range of topics that are intended to help you during what can be a difficult and trying time. The Family Learning Center offers courses relating to the roles, responsibilities, and challenges related to the care of our elderly loved ones. Topics range from understanding signs and symptoms of Alzheimer’s disease, managing and coping with challenging behaviors, daily care skills, first aid, and even information on how to create engaging activities for your family member. Casa Companion Homecare Solutions offers this valuable training free of charge as a service to the community of family caregivers. We do it to fulfill our vision of being the foremost community-centered home care partner in San Diego! 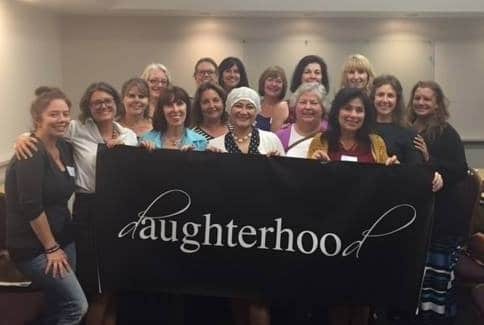 In September 2015, our founder, Christine Lee, partnered with Karen Van Dyke, of Senior Care By Design, a fellow local senior advocate, and Anne Tumlinson, founder of Daughterhood.org, to bring the concept of daughterhood, and Daughterhood.org, to San Diego. Launched with San Diego women of all ages and caregiving statuses, this group is designed to connect, support and sustain women who are caring for loved ones. Caregiving can be an isolating vocation, and Daughterhood San Diego’s purpose is to bridge the gaps between women who are all experiencing similar things, independently. Please read more about the group that Christine has worked to create in San Diego, and how you can participate, on our blog. We meet every other month on the 3rd Thursday of the month. You can connect with us on our Facebook page and get more information about our Daughterhood Circle Meetings, obtain valuable resources, and connect with other dynamic individuals going through the Daughterhood journey.